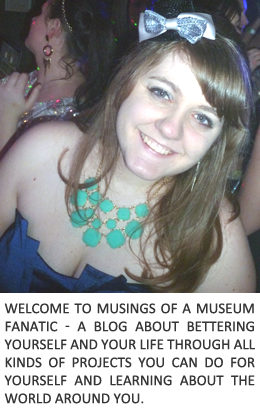 Musings of a Museum Fanatic: Would You Call Me Stylish? Honestly I'd probably never use the term "Stylish" to describe myself. I've never really been one of those people who are on trend. Part of the reason is I try and buy everything super cheap (since we are trying to save money) so by the time I get around to buying something it's usually at the end of the season. I had a pair of boots that I got for $15 (they're awesome by the way) but didn't end up wearing them for a whole year! So usually I'm a little behind on the trends but I'm also just not that great at putting together the whole picture. When I see the images on Pinterest or through other bloggers I'm just like how do they do it?! I can see the parts but somehow the entire picture just doesn't emerge when I'm standing in front of my closet trying to figure out what to wear. So here are some of the best pins that describe my sense of style. I actually probably wouldn't have paired it with the jacket but now that I see it I feel like I need to work on acquiring a motorcycle jacket this season ... when I'm allowed to spend again! I like both looks but you definitely wouldn't catch me in heels like that for work, especially not right now! I actually really like this look, yes again with the motorcycle jacket. Again wouldn't have paired the jacket with this kind of dress. This look is actually something I would wear out and about (but with lower heels!). I love blazers they're the best. I'm not sure if you can quite see it with these examples but I'd like to think I've got a kind of clean, simple looking style, nothing crazy or out there. Here are a couple of my favorite looks. What do you think? Would you call me stylish? I would call you stylish!! I love the pins and just trying to wear something other than jeans and a t-shirt requires thought which equals a stylish mind :) haha did that make sense? I love that last outfit collage! Especially the sparkly top, I'm all sparkles!